Just some of the possibilities available. Our dentists’ commitment to personalized care sets our practice apart. Dr. Luong will work closely with you to design a customized treatment plan to improve the appearance, function, structure, and health of your smile. We will thoroughly explain our diagnoses and your expected results so you feel fully informed and in control of your dental care from start to finish. We will provide you with options so you can choose which treatments will suit your needs and take ownership over your oral healthcare. Here are a few examples of what is possible when you and your dentist work together to achieve a vision for your smile. 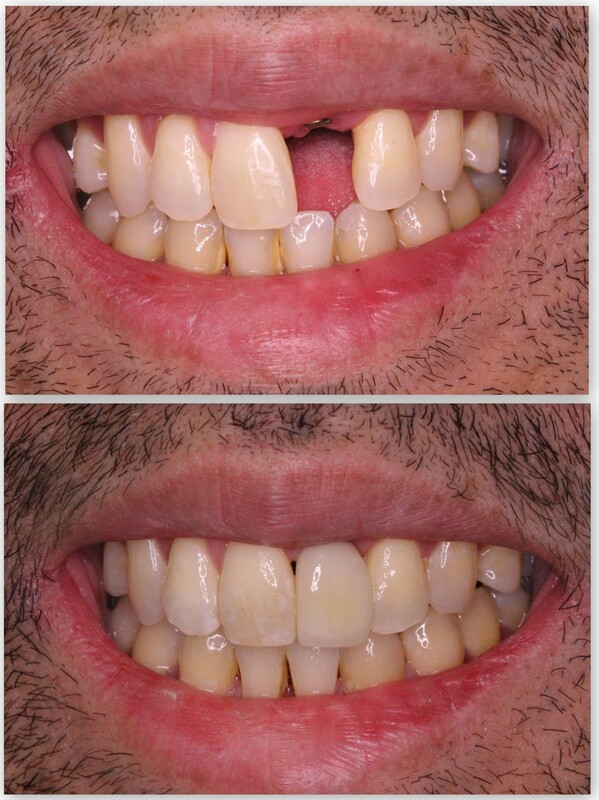 This patient has advanced tooth wear from years of soda intake and grinding his teeth. 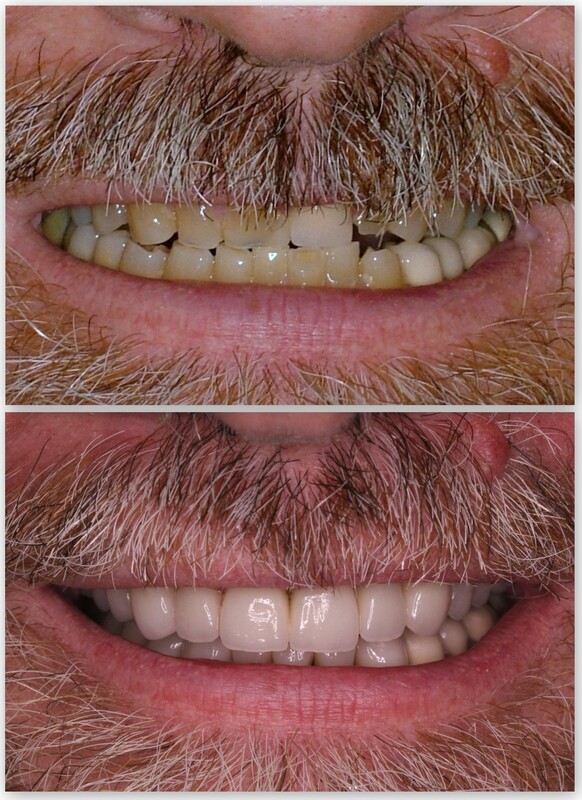 We worked together to rebuild his dentition to provide a functional and aesthetic bite. 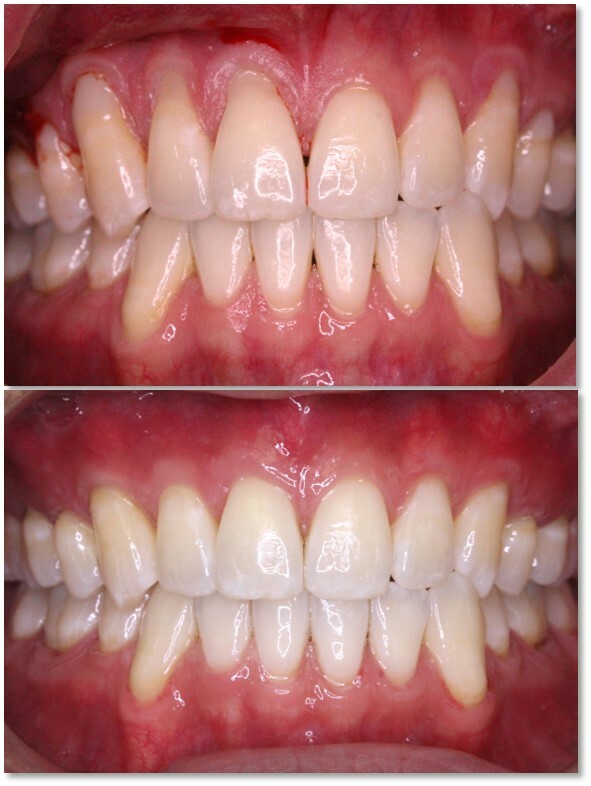 This patient had a chief complaint of spacing between her front teeth, and a rotated left lateral incisor. 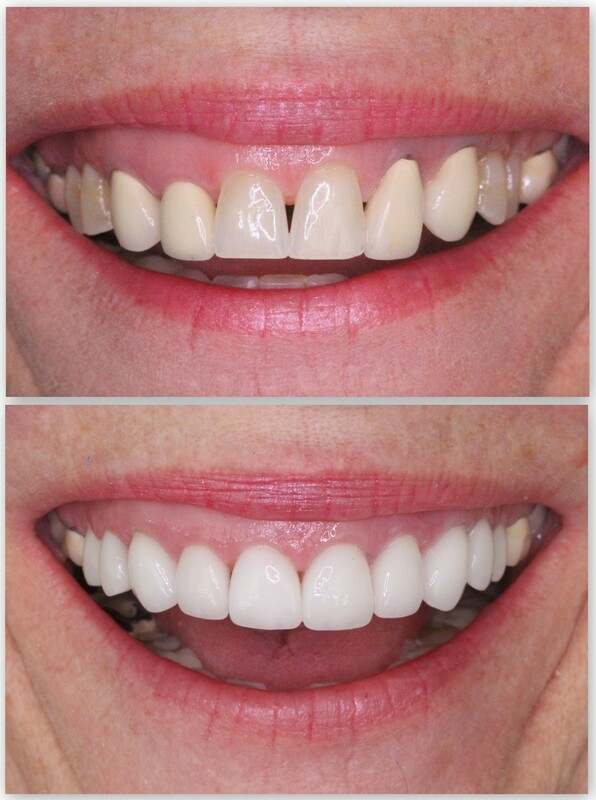 She chose to have whitening, gum contouring and resin bonding to manage the spacing, rotation, and tooth proportions. 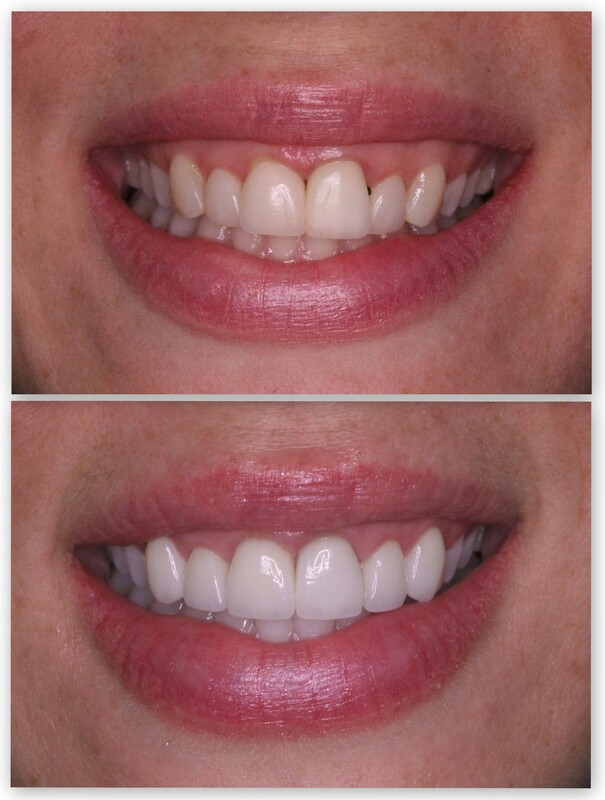 For this young patient, bonding was a great alternative to veneers. Dental decay, also known as cavities, occur when bacteria grow in the crevices of a tooth. We restore a tooth to health by cleaning out the decay and placing white composite restorations which are strong, long lasting and natural looking. When the filling is very large, we may also make the filling out of ceramic, a stronger material that is even longer lasting. 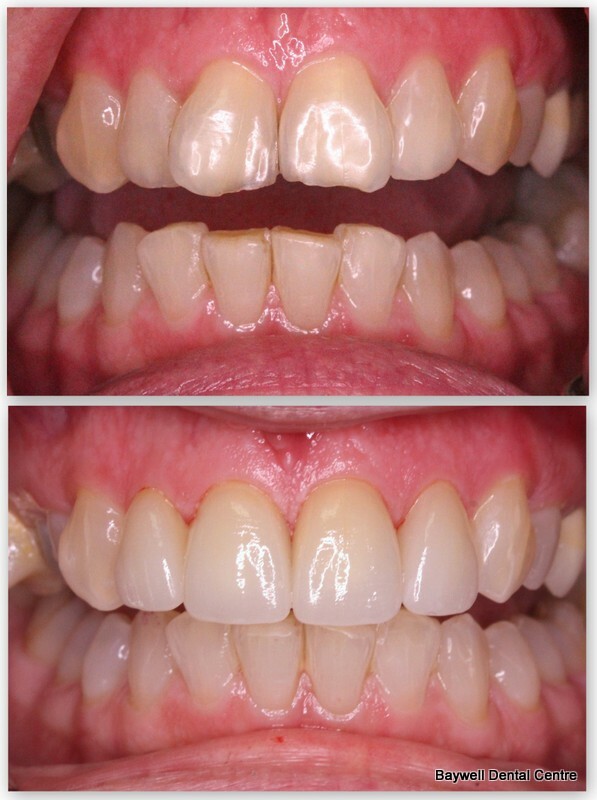 This patient placed an emphasis on straightening her rotated teeth, but ensuring that it blended well with her existing dentition. 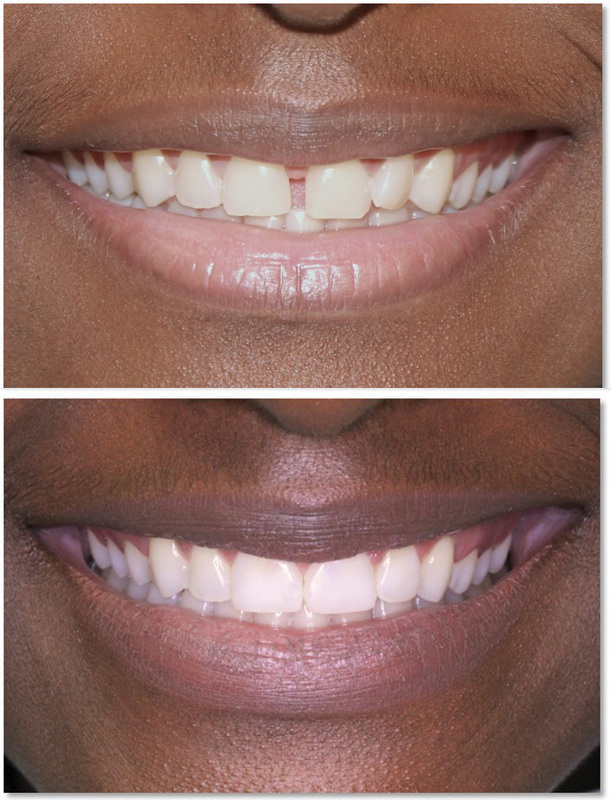 To achieve this, we restored the rotated teeth with a combination of whitening, crowns and veneers. 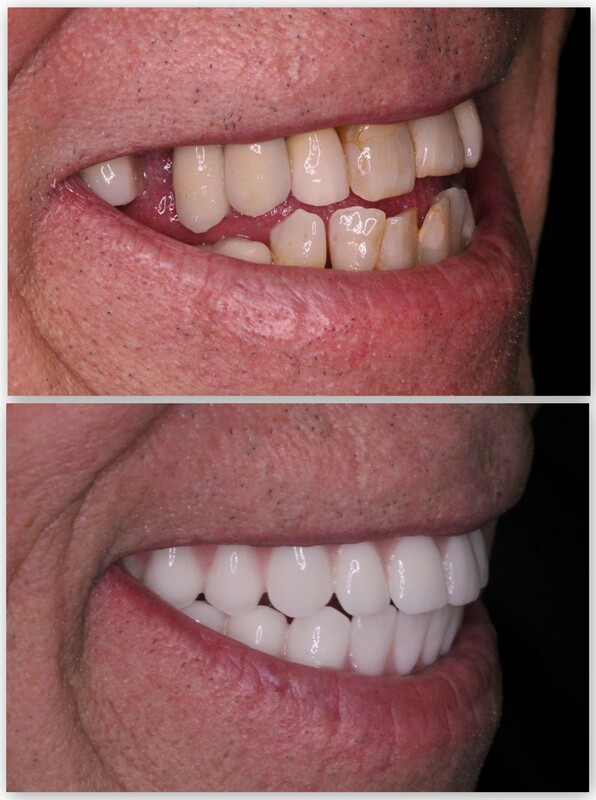 This patient was unhappy with an asymmetric smile. 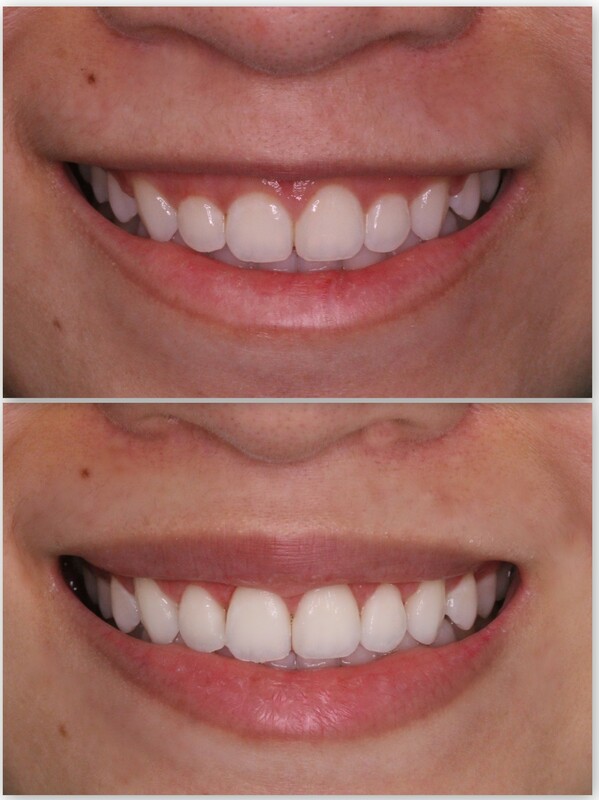 With careful planning, we were able to correct the symmetry and improve her smile in time for her wedding day. 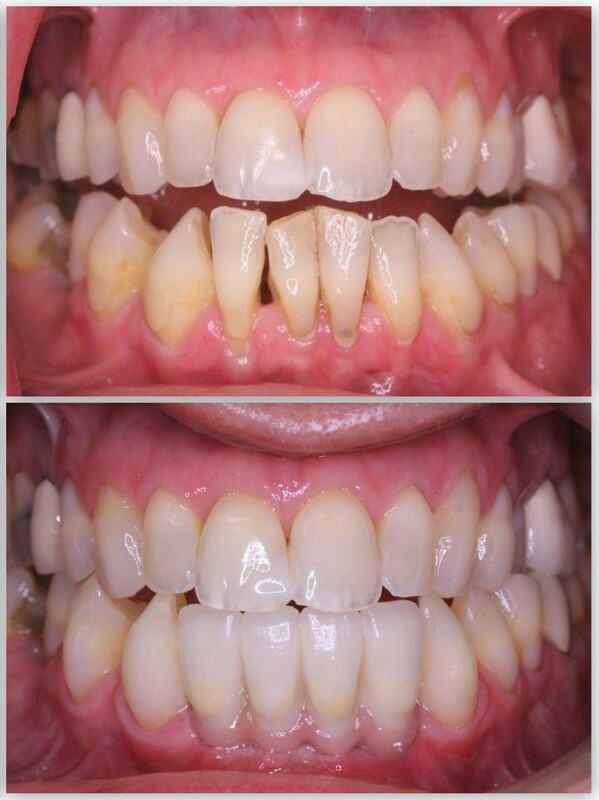 This patient had aging dentistry that resulted in uneven gums and yellowing teeth. 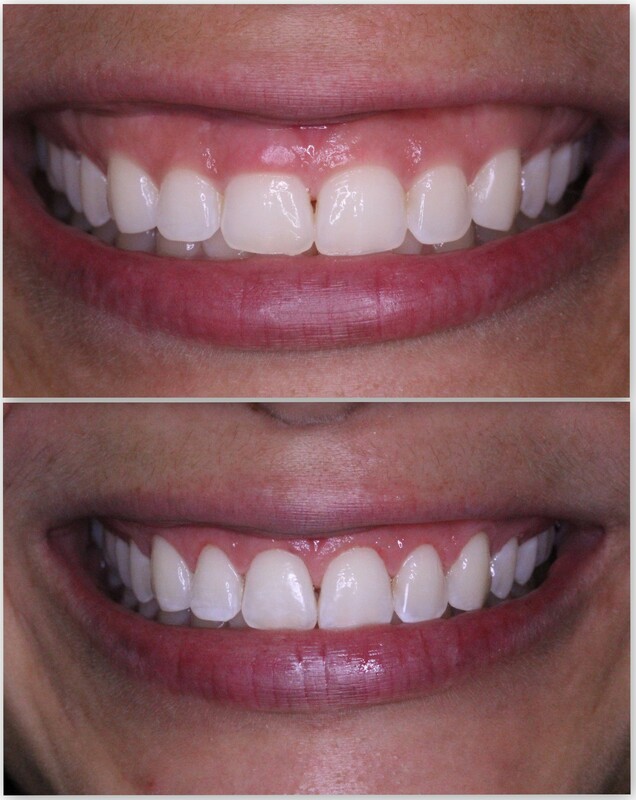 Careful planning and smile design resulted in a new smile that she will love for years to come. 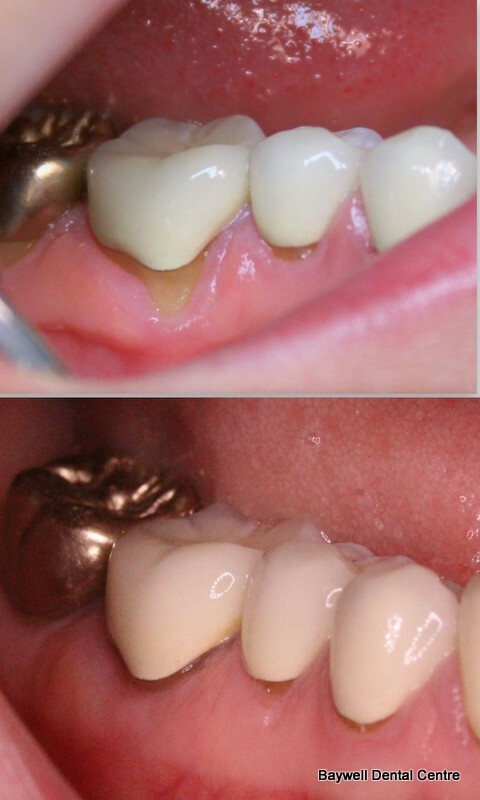 This patient had severe recession exposing the root of his teeth. 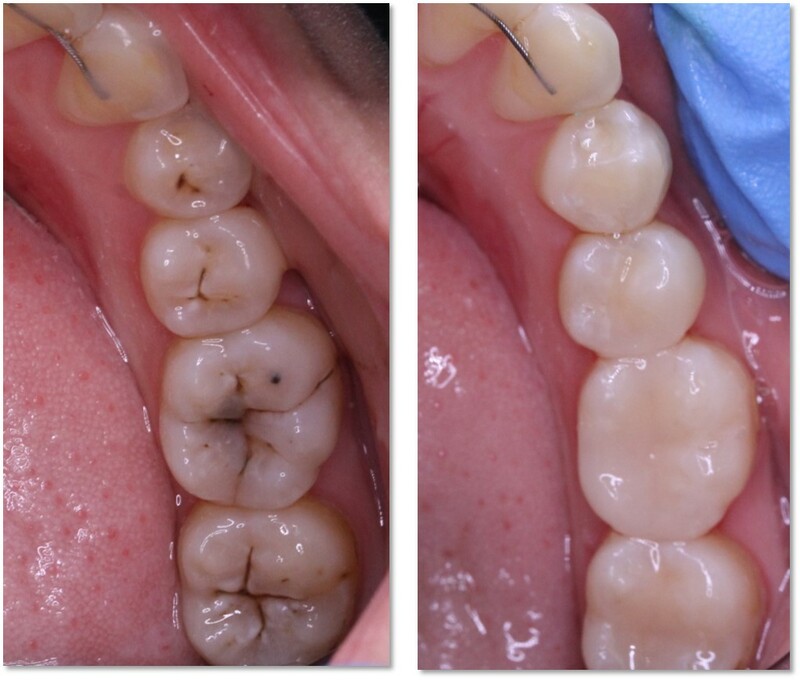 Gum grafting with Alloderm was completed to protect his roots and stabilize the health of his gums. Intervening at the appropriate time resulted in 100% coverage of the root and an ideal outcome! Alloderm is a collagen matrix that stimulates the regeneration of your gums. Exposed roots like these can lead to a lot of sensitivity. By using Alloderm gum grafting technique, we are able to regenerate the gum, protect the roots, and reduce the patient's sensitivity. This patient lost his tooth in an accident. An implant was the treatment of choice to replace the missing tooth. Careful consideration was given to proportion and size to ensure the final tooth would have the correct dimensions. This required a minor reduction of the natural central incisor to give the implant crown proper width, and avoid a “skinny” looking tooth. 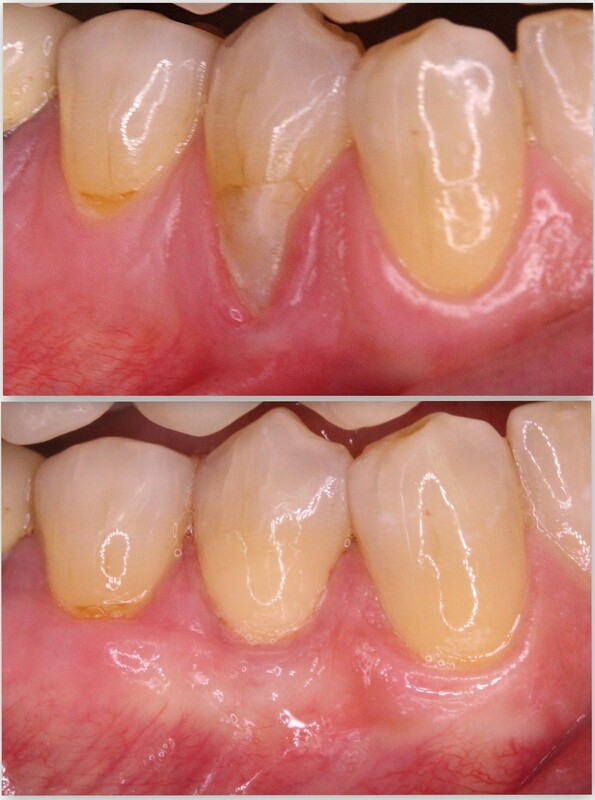 This patient had an ongoing history of periodontal disease resulting in the loss of the four lower front teeth. 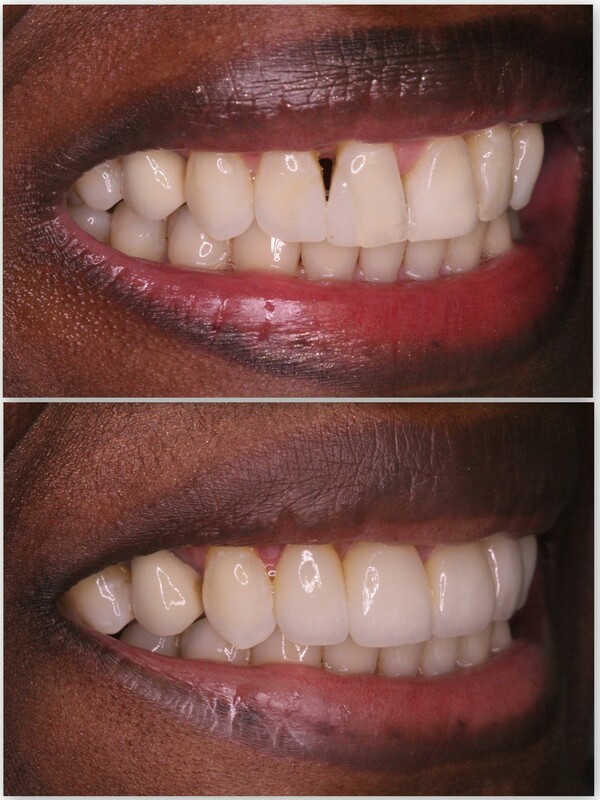 Using implants, we restored her teeth so that she can eat, smile and function again!